This regulation has been established in line with Regulation (EU) 2016/679 of the European Parliament and of the Council of 27 April 2016 on the protection of natural persons with regard to the processing of personal data and on the free movement of such data, and repealing Directive 95/46/EC under observance of its provisions. According to the regulations of Act CXII of 2011 on the right of informational self-determination and on freedom of information, BROVAMA Kft (the owner of this website and also operator of the accommodations presented there, registered seat: 7625 Pécs, Hunyadi utca 19, company registration number: 02-09-083020, VAT number: 10727445-2-02, hereinafter: Camping) is considered as data manager. 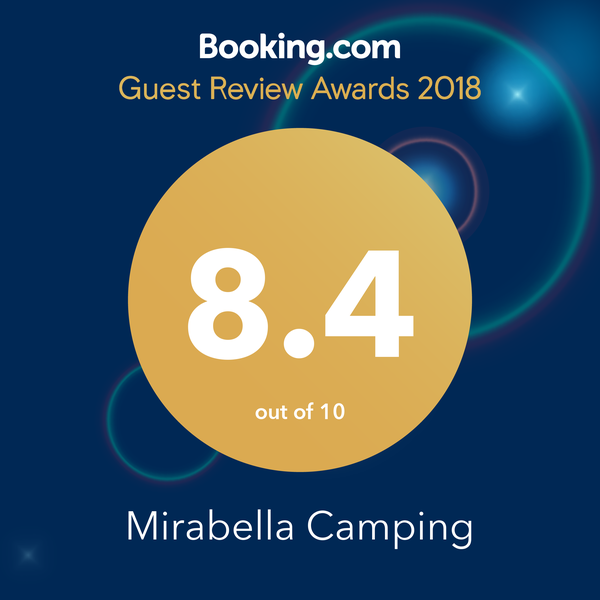 The Camping only manages data directly provided to us by you during the use of our services, either in the forms on our website or via direct contact (by e-mail or telephone) and/or provided in person during occupation of accommodation. The provision of the data is voluntary. Data management is based on your consent and on the legal provisions required to fulfill the contract. By accepting this statement, you authorize the management of your personal data. If you decide not to indicate the demanded personal information, you may not be granted access to certain aspects of the service (for example during the booking of accommodation), therefore filling in the fields marked with an asterisk is compulsory during the use of accommodation booking or other services. In the case of children under the age of 16, the management of the child’s personal data is lawful only if and to the extent the consent has been given or approved by the person having parental custody. The Camping makes use of your information exclusively on the grounds of customer contact, in order to stay in contact with you as a customer and to be able to offer you its enhanced services from time to time. Based on this, you will receive your booking to the contact data provided and we will be able to inform you about your specific booking (time of arrival, change of booking, notification about weather conditions, etc.) In addition, on the basis of the data provided, the campsite will meet its obligations under various legal provisions (declaration and payment of tourism tax in accordance with Act C of 1990 on Local Taxes (Htv.) and the Municipal Rule 45/2007 (XII.14). of the Municipal Council of Siófok on local taxes and the order of tax payment and Municipal Rule 41/2011 (XII.13.) of the Municipal Council of Zamárdi on local taxes and the order of tax payment). Data management serves this purpose on this legal basis. Section 73 paragraph (2) of Act II of 2007 on the Admission and Right of Residence of Third-Country Nationals also constitutes a legal basis, stating that Operators of commercial lodgings and other hotel establishments of legal persons shall keep records (guest books) on the prescribed forms of the information (name, place of birth, date of birth, mother’s name, nationality, gender) of their guests who are third-country nationals (except EU member states, Switzerland, Liechtenstein, Norway or Iceland). Section 153-154 of Government Decree 114/2007 (V. 24.) on the Implementation of the above-mentioned act states that guest books shall be kept either manually (in a conventional ledger) or in a computerized format. The format of the guest book shall be selected by the operator of the commercial lodging. The guest book must be submitted to the Regional Directorate of the Immigration and Citizenship Office by 31 March of the year following the year which it pertains. The Camping asks you to provide the following data during booking or registration at the site of accommodation: Name, place and date of birth, place of residence, address, e-mail address, telephone number, registration plate, ID number. The Camping will store your data for 10 years and delete them after this period. The storage period of data was determined to be this long in order to be able to welcome you as a regular customer later on. Personal data are used and stored by the Camping exclusively for the purpose of contacting you. The Camping declares that the personal data and information provided by the users of the portal are managed by the company as data manager and/or by its designated data administrators under observation of the data protection rules. During data management, the data voluntarily provided by you can exclusively by accessed by the Camping employees with relevant work duties. The Camping provides your data to individual entrepreneur Dóra Egry (registered office: 7625 Pécs, Szőlő utca 50) for the purpose of management of bookings, to COMET-TAX Kft. (trade register number: 20-09-062781, tax number: 11362197-2-20, registered office: 8900 Zalaegerszeg, Rákóczi u. 13) for the purpose of invoicing and to the the IT company MT-HostWare Számítástechnikai Korlátolt Felelősségű Társaság registered under number Cg.01-09-263594 (registered office: 1149 Budapest, Róna utca 120-122) for the maintenance of the booking system. The Camping transfers your data to the user (data manager) mentioned in this section for the sole purpose of performing the subtasks required for the fulfillment of the contract. They are only allowed to use the data for this purpose and may not forward them. We do not transfer your data to persons outside the European Union and we also oblige our partners to do so. Apart from the use of the booking system, after the fulfillment of the contract, except for the immediate communication with you, data management is done with “encryption”, which means that we use and manage the personal data provided by our customers in a way that it cannot be traced back to actual persons, i.e. to you. This form of data management has the objective that we can analyze the distribution of our guests based on age-group or citizenship and that we can develop our services with the application of the data gained through that. In accordance with the Data Protection Act, you may request information about the management of your personal data or about data protection incidents relating to your data. You will be informed of this by the data manager without undue delay, but no later than one month after the arrival of the application. You are entitled to update, change and correct your personal data, to ask for their deletion and raise objection against the management of your data by using the contact information indicated in this statement. You are entitled to receive the data managed by the Camping in a machine-readable format and to pass this data on to another data manager (data transfer). If you request the deletion of your data, the Camping will delete all your data from all databases, at all possible access points of the data. The Camping does not want to enable unwanted e-mails. However, we would like to reserve the possibility of providing you with information that can be important for you via e-mail according to the provisions of Act XLVIII of 2008 on the basic requirements and certain restrictions of commercial advertising activities. Simultaneously, the possibility of refusal is guaranteed by the Camping. Considering this, by giving your contact e-mail address, you approve that the Camping can communicate and inform you by e-mail about information and events deemed important. This approval can be withdrawn at any time without restrictions and reasons free of charge, by using the contact data indicated below. The Camping reserves the right to change the respective contents of the website without restriction and without notification and also to discontinue or to suspend any or every service. You hereby agree that the use of the information downloaded from the website or obtained through the website happens on a voluntary basis, at you own discretion and is exclusively at your own risk. The services of the Camping contain numerous connection points (links) that lead to the pages of other service providers. For these links, and for the data contained there, as well as for the possible damages arising due to the visit and use of such pages, the Camping assumes no responsibility. With the exception of the above, the Camping may sometimes ask for additional data too, but we always intend to compensate the scale and depth of the requested information and the scope of advantages acquired with the received services, as well as to match the scope of data acquisition with the targeted objective. Users commits themselves to not sending any data or message with the request of service that contradicts a) any regulation or international agreement, b) the contents of the Internet provider’s guidelines pertaining to the prohibition of network abuse, c) any generally accepted Internet rule, d) requirements of good ethics. In addition, users commit themselves to not passing on personal data learned within the framework of the received service to a third party without authorization. User acknowledges bearing the responsibility for the damages resulting from the violation of these obligations. We would also like to inform our guests hereby that there is a surveillance camera system working at the campsite in order to control the entrances and exits of the campsite so that unauthorized entrances can be identified if necessary. The footage recorded by the cameras is stored for 3 days and only the authorities are granted access to it – including the campsite staff and their subcontractors. 7625 Pécs, Hunyadi utca 19. Post address:1530 Budapest, Pf. : 5. For all other information, please contact the campsite reception. Thank you for your attention. We wish you a pleasant stay and recreation at our campsite.